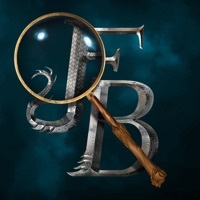 Fantastic Beasts™: Cases From The Wizarding World Master your magical skills as you delve into your wizarding world to investigate unexplained happenings. 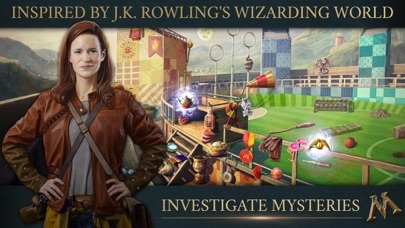 In an new adventure inspired by J.K. Rowling’s Wizarding World, enjoy all-new experiences as you discover hidden objects, interview witnesses, analyze evidence, and cast spells to uncover and protect the fantastic beasts at the center of every mysterious case. Solve All-New Magical Mysteries Clues to unlocking the secrets of your wizarding world are hiding in plain sight. Only you have the skills and talent to find the answers as you dive into the elusive world of magical creatures. You’ll cast spells, brew potions and decipher hidden clues to investigate and solve all-new mysteries. 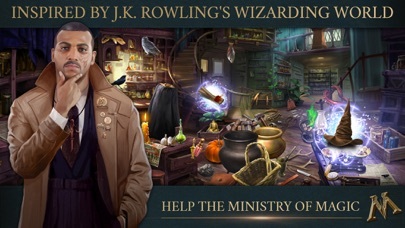 Help the Ministry of Magic The Ministry of Magic is relying on you to crack the case as one of the brightest new recruits of the Department for the Regulation and Control of Magical Creatures. From nifflers to unicorns, centaurs to dragons, you protect them all. Use your training to investigate beastly happenings and prove yourself as the smartest, sharpest wizard. Make Magic With Your Friends Join the magical community and unravel the secrets of your wizarding world together. See how you stack up against your fellow recruits, and lend your friends a helping hand. I love this game, but I’m giving it a 1 star to hopefully get the attention of the game makers to fix this bug. This is the only game I play that i cannot use my iPad Pencil because this game intermittently refuses to acknowledge my prompt. And it’s not just a problem with the pencil. It also happens just when I’m using my fingers. It’s SOOOO FRUSTRATING!! Love this game, need more cases!!! Really fell in love with this game. 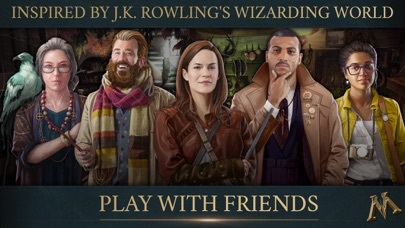 The graphics are incredible, the setup feels like you are in the Wizarding World and the pace is great to keep playing without being consumed. My only complaint is they have stopped adding cases! Please add more!! This game is too good to abandon. I need my job at the Ministry ha! 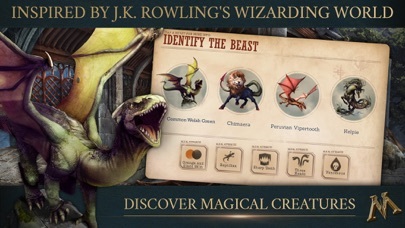 I love this game because it has so much magic and beast And mysteries.It makes me in love with J.K.Rowling”s ideas for Fantastic Beasts and where to find them. 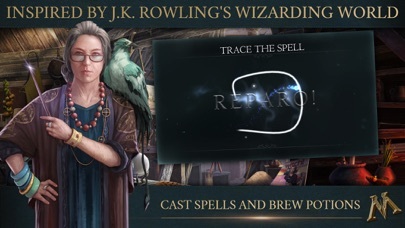 If you like Harry Potter you will love this game. It a very great game to play. If you also like a mystery game you will love this game. The game is fun, but I can’t find a feature that answers questions about how to play, which is very frustrating. What I love about this is that it allows me to play for a finite amount of time so that I can get things done. The rate would be 5* but will there be further adventures after the first 14? Thanks. It is a great game based on the Harry Potter world. I really love it. I like the seek & find games anyways. I really enjoy this app but it has froze it wants to me to push where the potion are but the daily award came up and it has been stuck for two days.